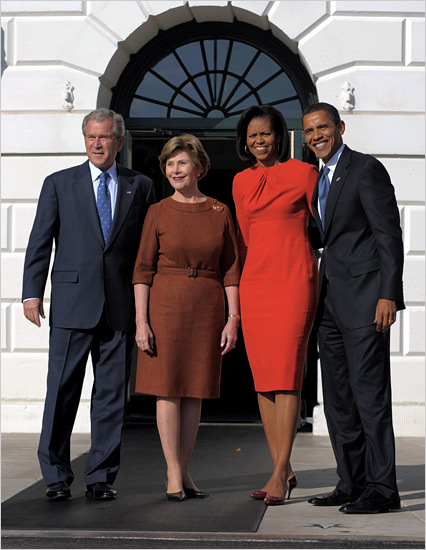 President-elect Obama spent time with President Bush today at the White House... while Michelle Obama and Laura Bush had private discussions of their own. According to Los Angeles Times, Obama arrived in presidential style, complete with a fully equipped motorcade. You can read more at The New York Times. You can also click here to listen to a radio report from From ‘The Takeaway’ featuring Sheryl Gay Stolberg, giving the back story of today’s events.